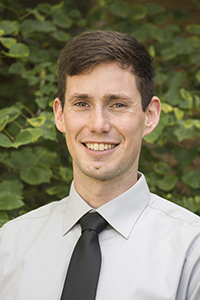 Daniel earned his BA from Olivet Nazarene University in 2010, graduating with a double major in Political Science and History. He has spent several years working in higher education, as an ESL teacher abroad, and in pastoral ministry. He earned his MA in Theological Studies from Trinity Evangelical Divinity school in 2017. As a second-year student, Daniel is interested in exploring topics surrounding education, race, culture, family, and technology. His thesis focuses on the impact of text messaging and social media use as it relates to perceived closeness to family, friends, and neighbors. He plans to write his dissertation on race and sports in Christian higher education. "Having spent several years working in higher education and pastoral ministry, I was looking for a Sociology program where I could explore the intersection of faith and culture. Baylor provides a unique platform in this regard. The collaborative spirit among students and faculty, the chance to take classes outside of the department, and the emphasis on producing productive scholars all contributed to me choosing Baylor. Working at the CCRD has also provided numerous avenues for me to hone practical skills in Sociology. Right from the start, you get a chance to work in the non-profit world, put together surveys, lead focus groups, develop methodological skills, impact the local community, and supervise undergraduates in assembling data. It all serves as preparation for future work in a non-academic or academic setting." View Daniel Allen's Full Curriculum Vitae.